Our best-selling HT630 rugged handheld computer is a powerful, no-frills approach to data collection. Running on a DOS operating system, the HT630 handheld computer is stripped down to the essentials for the most straightforward user experience possible. It simply does not get any easier than the HT630. The HT630 is flexible enough to work well in a variety of spaces. 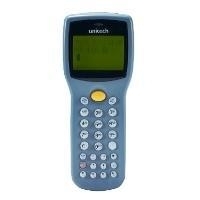 The HT630 handheld computer is a great tool for managing inventory in a warehouse or stockroom. The HT630 handheld computer is all about giving you the features you want without making your pay for those you don’t. The HT630 uses text-based menus, keeping data collection simple by placing your files in plain sight. 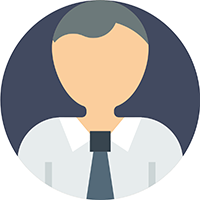 The unit includes 5 ready-made applications for Inventory, Asset Tracking, Check-in/Check-out, Time and Attendance, and Price Checking. If your operation requires more customized or robust software, the HT630 also features JobGen Plus application development. With this Windows-based tool, you can design powerful applications with only minimal training or programming knowledge. Minimize device downtime by choosing a rugged device for your data collection needs. The HT630 is protected against falls to concrete, withstanding repeated falls of up to 4 feet. A rugged enclosure seals the unit against hazards such as water, dust, dirt, and grime. The HT630 is equipped with a clear, sunlight-readable screen and luminescent keys that shine in the dark. Two memory options (2.5 MB or 4.5 MB) are available to fit your specific needs. These features never sacrifice battery life, as the HT630 operates for a full 10 hours. The HT630’s smart design isn’t bogged down by a graphic user interface or a battery-draining processor, making it a streamlined and efficient tool for your business. The HT630 features one of our most lightweight and ergonomic designs. At just 8 ounces the HT630 is easy and comfortable to hold. Minimize user fatigue with the HT630’s streamlined silhouettemade with the contours of the hand in mind.